The focus on sustainability and sustainable practices is a self defeating objective. 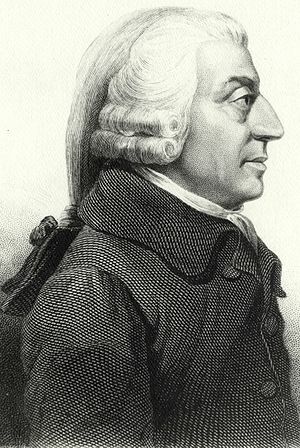 Sustainability means that business leaders take their eye off the equity holder’s value creation ideal, as it flies in the face of self-interest as promoted by Adam Smith some 234 years ago (The Wealth of Nations , 1776). Self-interest and the pursuit therefore is being clouded by a multitude of other non value adding factors that is diluting the message and contributing to more uncertainty and risk and therefore capital flight and volatility in the financial and capital markets as we have experienced over the last 2 years. This process and Zeitgeist will not disappear or be properly understood, unless we develop a deeper understanding and familiarity with uncertainty as a driver of the innovative spirit of human endeavour. Risk management per se is not the answer and panacea it is held out to be, and if it promotes a more risk-averse society, then we are heading for the middle ground of mediocrity, tyranny and decline in social values and structures that have taken many hundreds of years to create. Being part of the system with a myopic view, rather than standing outside the system with a holistic and reflective frame of mind is causing more damage than good. Yet how are we to live and deal with the cognitive dissonance that these two views by the very nature induce? Let’s open up to good honest debate, search and reflection, rather than to dogma and a narrow focus on defending vested interests and old world models. We are in the midst of a major cultural, economic and world order paradigm shift and the outcome is uncertain, potentially destabilising, but we must embrace this exploration of uncertainty and chaos the will inevitably ensue.